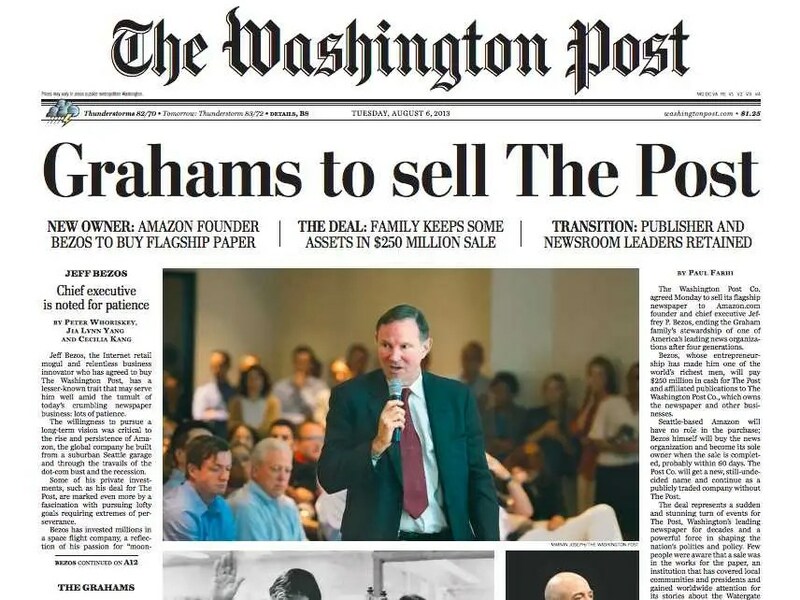 When Amazon CEO Jeff Bezos announced his plans to purchase the venerable Washington Post last week, the American media were thunderstruck. The $250 million dollar deal raised many questions: would Bezos use the newspaper as a political lever for his own, vast interests? And could the entrepreneur who revolutionized e-commerce find a way to turn around the flagging fortunes of print media, which have struggled to compete with freely available online options like blogs? Bezos seemed an apt, if ironic man for the job. After all, his company has become a behemoth by getting books, movies and so many other goods to consumers faster, and at a lower price, than any brick-and-mortar bookstore or video shop could dream of. Amazon symbolizes the disruptive power of the Internet as much as the Huffington Post or Netflix, which many blame for putting newspapers and video stores (respectively) out of business. It was a bit like the executioner coming to administer CPR. Consumers find cheaper options irresistible, and nothing is cheaper than free. But there are ways that newspapers, bookstores, and other businesses can cope with the relentlessly cost-cutting juggernaut of the Internet. The New York Times recently reported about bookstores across the country that have turned to donations as a way to shore up their ailing balance sheets. They rely on the idea that consumers value having an independent, local bookstore around, even if it can’t generate enough business to keep the lights on. Such efforts have largely been one-off calls for financial support, taking advantage of “crowdfunding” sites like Kickstarter, which allow donors to contribute to projects (from filming a movie to recording an album) that they consider worthwhile. They are essentially the same emergency response as staging a benefit concert to keep a struggling record store open, as supporters of Atlanta’s Criminal Records did in 2011. However, this voluntary model of support has greater potential, as innovations like Kickstarter have made clear. 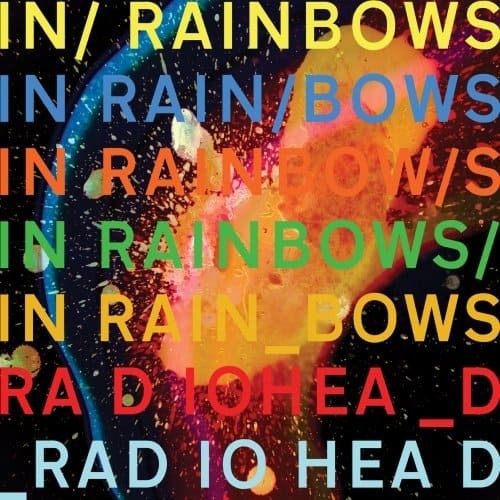 Six years ago the band Radiohead stunned the world by offering its In Rainbows album for free online, encouraging fans to pay whatever sum they felt was suitable. Some gave a great deal, some very little or not at all—but research suggests that Radiohead received $2.26 on average per download. Radiohead’s experiment encapsulates the entire problem facing publishing, music, and other creative industries in the twenty-first century: why would anyone pay for something they could get for free? Why pay for an album when it can easily be pirated online? And, indeed, why would someone pay $30 for a novel at the local bookstore that they could get from Amazon for $15? Clearly consumers can be motivated by other than purely profit-maximizing impulses. Radiohead reasoned that many people would download the album for free no matter what, but others want to support an artist they love. Likewise, choosing to buy the book at the shop on the corner could also be seen as a kind of contribution to a worthy cause — the extra money you paid to buy the book there is tantamount to a donation or, at the very least, a vote of confidence. The only hope for bookstores and record shops may lie with those who treasure the experience of shopping there enough to pay more to support it. It may be hopelessly naïve to believe that voluntary contributions could keep either book or record or video stores afloat, but consider the example of public broadcasting: National Public Radio receives less than 16% of its budget from government, but somehow manages to cajole its listeners to donate to something they could easily get for nothing. 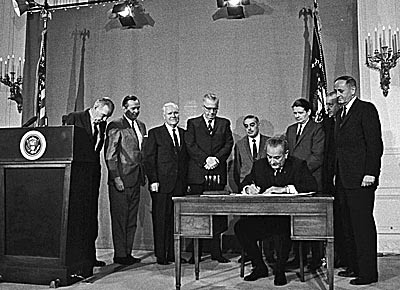 That arrangement might have seemed improbable in the days before 1967, when the Public Broadcasting Act galvanized the spread of public radio and TV, but it works. It’s possible to imagine bookstores and video shops reconfigured as nonprofit cultural institutions, designed to preserve book and film culture. The news media could also be remodeled along the lines of the nonprofit investigative group ProPublica or Spot.us, a crowdfunding site for journalists. Then again, even new media publishers struggle with ways to make content available in a competitive online environment. Some have experimented with paid membership programs; Salon tried a “premium” service that reserved special content for subscribers and reportedly generated about half of the site’s revenue at one point, although membership in the program fell from 100,000 at one point to about 10,000. A later attempt at a similar program called Salon Core appears to have fizzled. Last year the left-leaning news blog Talking Points Memo launched its Prime service, which offers subscribers access to extra content and features as a way to augment the site’s income from advertising. I joined both Core and Prime, not because the perks of membership mean much, but because I value what Salon and TPM publish. As far as I was concerned, it was little different from making a contribution to NPR. Whatever the solution may be for newspapers, musicians, or bookstores in the digital world, we have reason to believe they can adapt. Indeed, creative industries have done so before. When radio became a major popular medium in the 1920s and 1930s, some artists and record labels did not want their music broadcast; why would listeners pay for records, especially in the depth of the Depression, when they could hear music for free on the air? The music business evolved, and radio became a vital medium for popularizing music and, yes, selling records. The specter of free culture did not destroy the music any more then than it did when cassette tapes made copying and sharing music easy in the 1960s and 1970s. It is true that the Internet may pose a more profound threat to established industries than any new communication technology before it. But one can only hope that Bezos and the Washington Post find a sustainable model for news. It will require giving people something they want and giving them a reason pay for it. The good news is that they have done so in the past, even when—from music in the 1930s to news in the 1970s—they could get the same thing for free.